EMMA HOLM (b. 1988) grew up in Södermalm, Stockholm, where her debut novel is partially set. A former student of rhetoric at Uppsala University, Holm also holds a BA in Literature from Stockholm University. In 2010, she won a short story competition in the Swedish weekly journal Icakuriren for a short story, ‘Pandadräkten’ (The Panda Suit). Her debut novel was published in 2017. 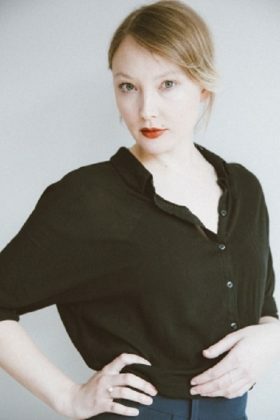 Typified by a strong, clear and elegant style, Holm’s writing has been influenced by writers such as Tove Jansson, Raymond Carver, Sylvia Plath and Lydia Davis. She takes a strong interest in feminist issues and the dynamics within relationships, groups and society. She also freelances as a children’s book critic for Dagens Nyheter newspaper and works at The Royal Institute of Art in Sweden.